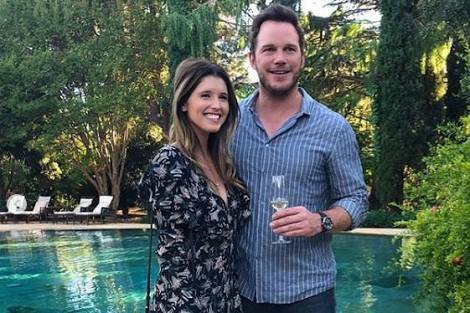 Popular American actor, Chris Pratt, and his girlfriend Katherine Schwarzenegger, the daughter of Arnold Schwarzenegger are officially engaged. The “Guardians of the Galaxy” star made the announcement on his Instagram account on Monday. Sharing a loved-up photo of the couple embracing themselves, with Katherine, 29, flashing her huge diamond ring, Pratt wrote: ‘Sweet Katherine, so happy you said yes! I’m thrilled to be marrying you. Meanwhile, this will be Chris’s second marriage after his eight years marriage with his ex-wife and mother of his son, actress Anna Faris, 42, crashed in August 2017. Their divorce was finalized just three months ago, in October 2018.